Find AMCAT Previous Papers Syllabus and pattern Questions here, We have seen the syllabus being repeating for many years Model AMCAT Questions that are in the AMCAT Previous Year Placement Papers Syllabus and AMCAT Model Papers, AMCAT Previous Papers with Solutions asked in AMCAT Exam. Here are the topic wise AMCAT Questions Syllabus based samples from topics which are asked in AMCAT Previous Papers and Placement Papers. Also with AMCAT Syllabus and Paper Pattern 2018. AMCAT 2018 Quantitative Aptitude Sample Questions with Solutions(Paid). Here are the AMCAT Most Probable Repeated Questions with Solutions and also the AMCAT Syllabus in PDF Download and Test Pattern for written test papers. AMCAT 2018 Most likely Questions – Verbal English Questions with solutions(Paid). Visit our Logical Reasoning Dashboard for AMCAT here. Here are the topic wise questions that are asked in AMCAT Previous Year Papers Written Test Paper with Questions and Answers. AMCAT 2018 Most likely Questions – Computer Science Questions with solutions(Paid). Visit AMCAT Coding Dashboard here on this link. Amcat Previous Years Question Paper with answers – Quants. Amcat Previous Years Question Paper with answers – Verbal Ability & English. Amcat Previous Years Question Paper with answers – Logical and Verbal Logic. Amcat Previous Years Question Paper with answers – Computer Programming. Amcat Previous Years Question Paper with answers – Computer Science. Amcat Previous Years Question Paper with answers. Question. What percentile in aspiring minds question papers with answers is good to get calls from companies? Ans. Atleast 80%ile is needed to get calls from various companies. 85%ile is suggested in aspiring minds question papers with answers even if you get 79%ile in 1 section then chances of your calls may decrease. Question. 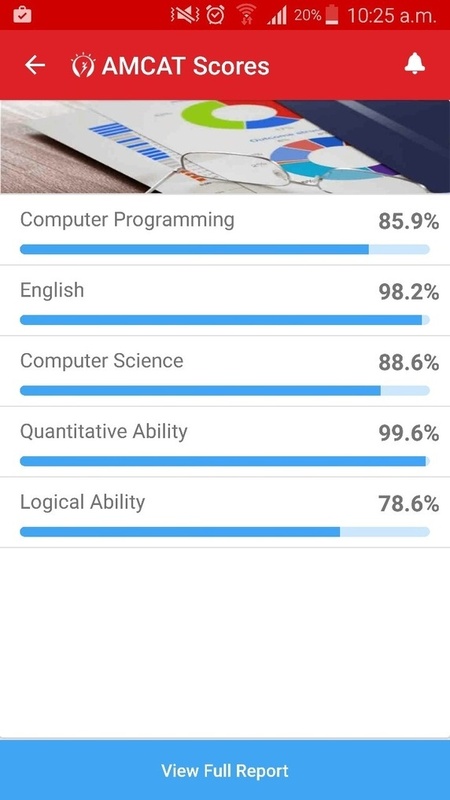 What is the average score to get 90th percentile in AMCAT Paper? Ans. For all of the section the 90th percentile marks ranges from 540 – 640 as statistically observed in amcat question papers results. Question. Difficulty for AMCAT Previous Questions – Medium or High ? Ans. AMCAT Questions from Previous papers are easy , just that time is a factor . You need to be fast enough to solve each question in 45 seconds – 1 min.